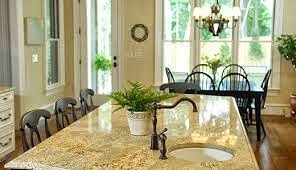 Chemical odors are given off from a wide variety of materials: paint, solvents, pesticides, adhesives, particleboard, vinyl flooring and tiles, dry-cleaned clothes, toner from photocopiers, and cleaning agents used in the home. These odors can an asthma attack in people with asthma. People with asthma may be quite sensitive to certain fragrances such as perfumes, scented detergents and soaps, personal deodorants, and room deodorizers. There are known causes of work-related asthma. Allergens are materials that cause an immune-type reaction in people who are sensitized to these materials. Allergens found in indoor air are primarily biological material such as pet dander, cockroach and other insect pest particles, pollen, bacteria, and mold. All of these materials are small particles, can become airborne, and thus, are easily inhaled. Allergens that are inhaled by sensitized people with asthma can cause asthma attacks. 1. 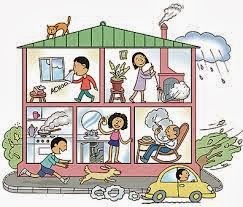 Do not smoke in the home, and do not permit others to do so. 3. Keep an eye out for signs of water leaks or flooding to stop mold from growing. Porous materials, floor, wall, and ceiling coverings, and furniture found in the basements that have been wet for over 24 to 48 hours may become a source for mold growth and should be discarded. Sometimes there is a musty odor but mold cannot be seen. Mold does not need light to grow and can thrive in hidden or rarely accessed areas of your home, such as behind walls or in the attic. In addition, mold can grow on a variety of surfaces: in the HVAC system, behind wallpaper, on sheetrock or ceiling tiles, and on flooring materials including carpet underpadding. If a source of water or condensation can be found, chances are there will be mold growing nearby. Fix the moisture problem, either by locating the leak or water source or by dehumidifying the area. Thoroughly clean the area using established health department recommendations. For more detailed information on molds including potential health effects and ways to cleanup and prevent mold problems, see the Michigan Department of Community Health (MDCH) fact sheet "Molds in Your Home" or call MDCH at 1800-MI-TOXIC and ask for the mold information line. 1. To reduce moisture build-up in the kitchen and bathrooms, install exhaust fans that vent to the outdoors. If there is an exhaust fan over the stovetop, check that it is vented outside. Many exhaust fans simply reroute the air through a filter back into the room. 2. Use high quality furnace filters in the HVAC system (HEPA or microfiltration systems). Check to be sure that the furnace fan motor has enough horsepower capacity to handle their use (check the owner's manual or ask a furnace service contractor). HEPA furnace filters trap smaller size particles than conventional filters, and may help to reduce the concentration of particles suspended in air. In addition, air filters should be regularly replaced as suggested by the filter manufacturer, which may vary based on specific activities in the home (wood working, pets, etc). 3. Maintain the humidity in the home at levels between 30 and 50 percent Relative Humidity (%RH). Below 30%RH, air is too dry, and mucus membranes may dry out easier, making it uncomfortable. Above 50%RH, pest and mold problems could increase.